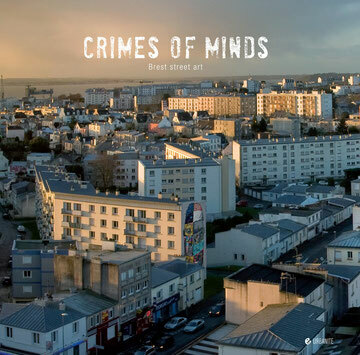 Crimes of Minds presents its project, result of two years of an intensive work, initiated by the artist Liliwenn and produced by the Sugar Rush non-profit organisation. 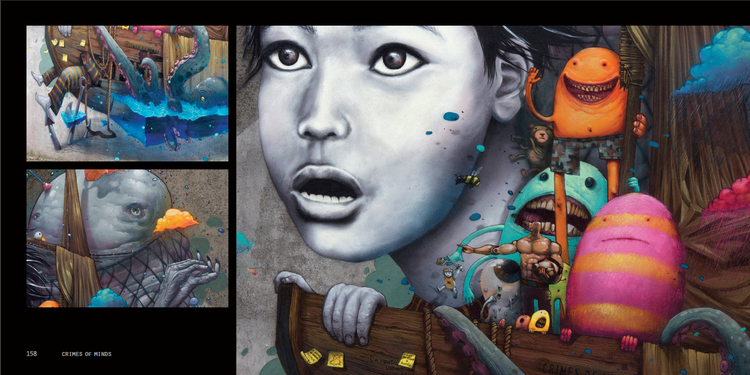 The project aims at making of a port town an open space museum. 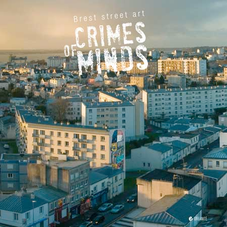 It unites 26 international artists, 11 photographs, 6 video artists, 10 musicians and numerous partners with the kind support of the Brest town council. 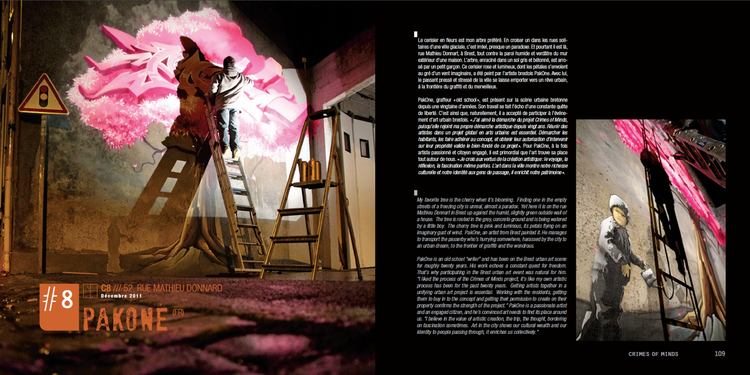 The book gathers the most striking pictures of "Crimes of Minds" and account témoignages of the actors and the witnesses who experienced the creation of this gigantic urban web consisting of 21 frescos divided in 12 episodes. 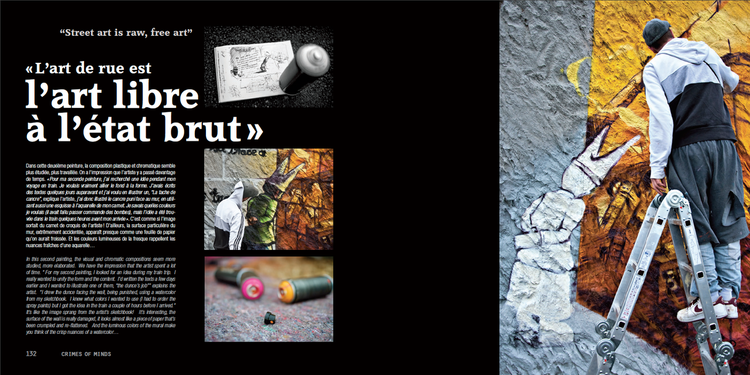 Actually around hundred people participated to that creative melting pot all in all. 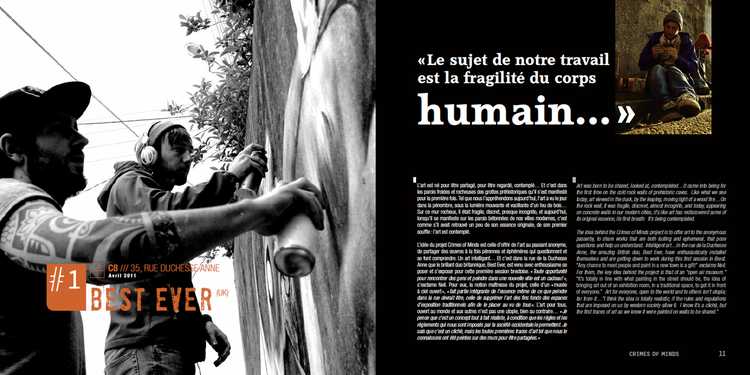 The kind and poetic writing of the author of the book, Marie Aschehoug-Clauteaux, highlights the amazing collective energy coming from this project which unique vocation is to share.